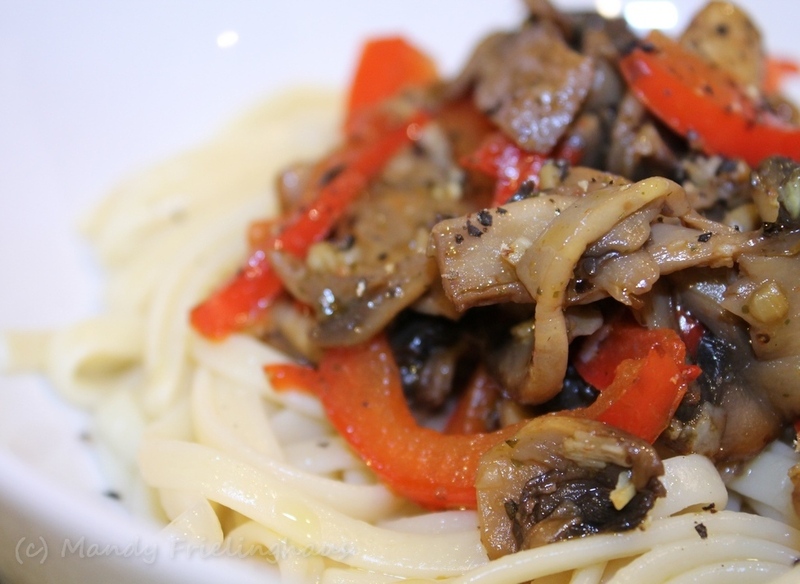 This entry was posted in Daily Blog, Pasta & Rice, Recipes, Vegetarian and tagged Cooking, Food, Garlic, Luinguine, Mandy Frielinghaus, Mushroom and capsicum pasta, Mushroom and red pepper pasta, Pasta, Recipe by thecompletebook. Bookmark the permalink. A fuss-free and delicious pasta! I love these meals, guided by what we have! Like your choice of linguine with this dish, sure looks yummy. This is my favorite kind of pasta, Mandy. Start the water boiling and prepare the rest of the ingredients. In no more than 20 minutes, you’re seated and eating a delicious meal. I’d much rather dine on a pasta like this than order a sack of food from a nearby restaurant. Have a great evening, Mandy! Stir fries and pasta are both so perfect for quick meals. I love this one! This sounds like a perfect lunch. I might be tempted to mix that olive oil with a bit of butter though. Mmmm. I know how days like that feel. Looks lovely! Perfect! I love how you know what goes well together like this. I would love this too. It sounds so good right now. What do you and your furry loves do w/ hubs is on business besides eat lush meals? Do you have a fave. series you watch or fave. books? You are busy in a Wonderfully Wonderful Way! 🙂 Have a beautiful day, Too. Xxxx Love. Way to go vegan! Sounds like a nice change up from the usual stirfrys.